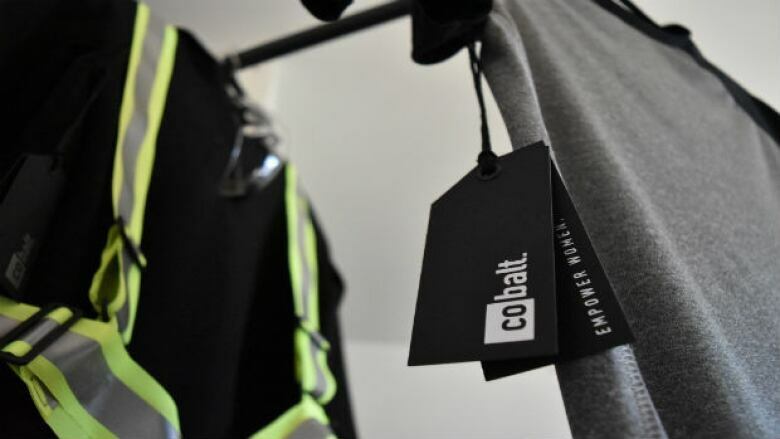 Two Kwantlen University design students found their calling making clothing that works hard in blue-collar jobs. Emerald Naumann was a landscaper for four summers and always struggled to find clothes made of strong, flexible fabrics designed to fit women. She turned to the children's section of thrift stores to find boys clothes that were short enough for her. 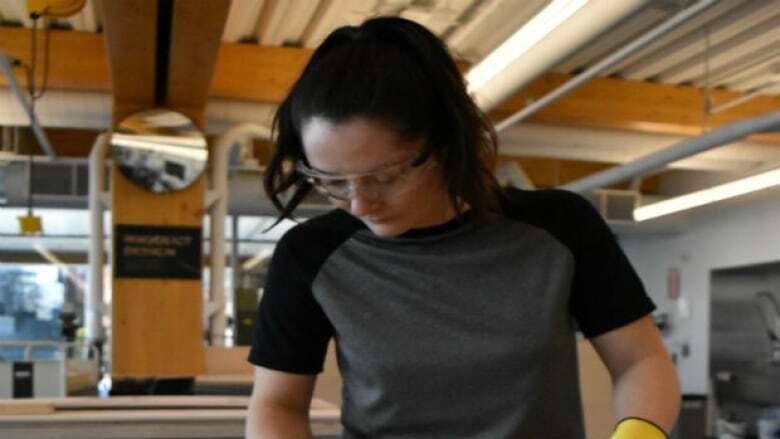 Now in her final year of the design and technology program at the Richmond campus of Kwantlen Polytechnic University, Naumann is trying to fill that hole with new designs. 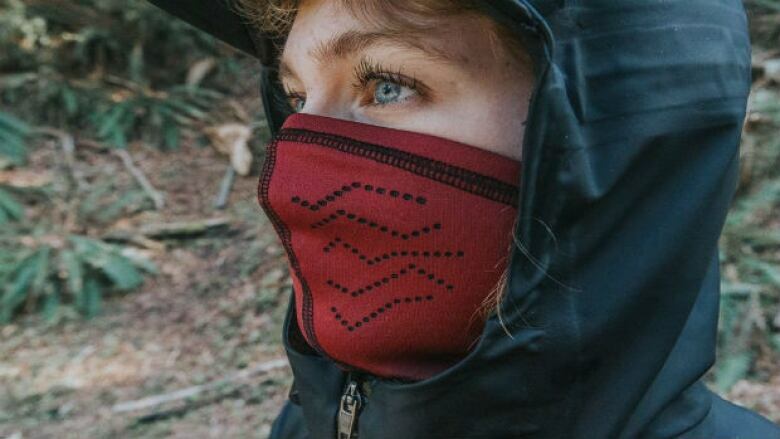 Her creations bridge the gap between traditional outdoor gear and what's needed for construction work. She aims for a balance between durable fabrics and ease of movement. The knee design of her bib overalls, for instance, allow a range of movement to crawl on the ground. And they're layered with fabric that resists water, mud and stains. Fellow Kwantlen student Justina Vendittelli has a father in the construction industry. She shares his passion for building and design, but her materials are canvas and stretch fabric. She's also combining the attributes of work and athletic wear to increase comfort, mobility and sweat absorption. Her waterproof overalls have stretch panels to make it easier to climb ladders and bend down all day. 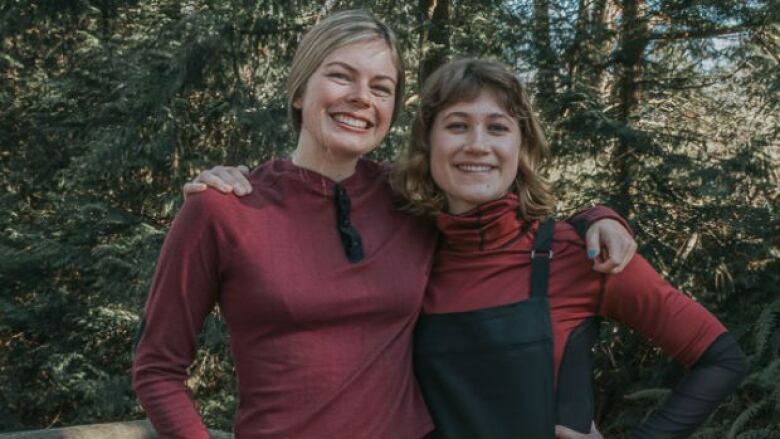 Both Naumann and Vanditelli's designs are part of the 2019 The Show on April 18 at Kwantlen Polytechnic University's Wilson School of Design in Richmond.